Letter to Our Members: Vol. 1, N. 1. … what is really going on is a war between Christ and the Antichrist on a scale never seen before, where the survival of the Catholic faith is at stake. I repeat: we are in a battle to preserve the Catholic faith, and all the battles being fought on various fronts, even those that are so important like moral truth, are only the terrain of confrontation in a war that is much deeper, involving metaphysics and religion. The most important thing in play is faith. But faith is preserved whole and intact or it is lost. You cannot preserve just parts of it according to taste or expediency. This war between Christ and the spirit of the Antichrist, of which the beloved disciple, St. John, spoke of in his book, the Apocalypse, has been waged ever since the Ascension of Our Lord to the Right Hand of God the Father. It is the War, whose drama fills the pages of history, and whose outcome will forever mark the destiny of mankind. This is so, because Our Lord Jesus Christ is no mere philosopher or rabbi, He is the Eternal Word of the Father, Incarnate in time for the salvation of men and women and children of all times. He is in Himself the revelation of God and thus His words, recorded faithfully and exactly in the Gospels and His teaching, expounded faithfully by the Apostles and Evangelists in the New Testament, establish forever the boundaries and limits of the Christian Faith. … the whole authentic Scripture and its preachers have their power of sight trained upon Christ, coming into the flesh, as upon the Foundation of the whole Christian Faith, according to that verse of the First Letter to the Corinthians, chapter 3: According to the grace, which has been given to me, as a wise architect I have laid the foundation. For another foundation no one can lay, except that which has been laid etc.. For He is the foundation of the whole authentic doctrine, whether apostolic or prophetic, according to each Law, the new and the old. On account of which there is said to the Ephesians, in chapter 2: You have been built up upon the foundation of the Apostles and Prophets, with that most high cornerstone, Christ Jesus. Therefore it is clear, that Christ is the Master of cognition according to the Faith, and this, inasmuch as He is the Way, according to His twofold advent, namely, in the mind, and in the flesh. 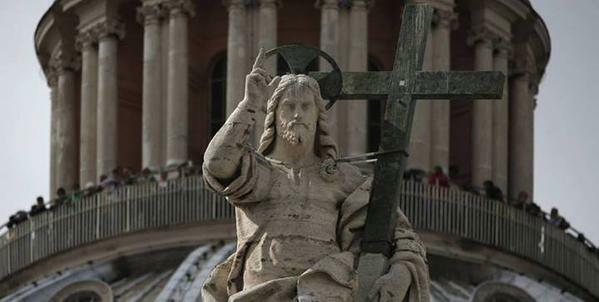 To oppose the teaching of Christ in anything, therefore, is no less a violation of the Catholic Faith as it is the proposal of an entirely new religion, which does not have Christ Jesus as its Founder, First Principle and Teacher. For this reason, we members of the Association « Veri Catholici » find ourselves greatly encouraged and inspired by the recent words of Bishop Athanasius Schneider, who has called Catholics everywhere to action in order to preserve, protect, defend and propagate the eternal Faith taught by Our Lord. We receive such a strong inspiration from Bishop Schneider’s words because of the truth of the teaching of Our One and True Master, Christ the Lord, who said to the Apostles and to the Bishops who receive consecration from their hands: He who hears you, hears Me! (Luke 10:16), a saying which is verified when those same Apostles and Bishops handed down to posterity, in the Church, the same teaching which they had received from Our Blessed Savior (cf. 1 Corinthians 11:23). After the example of Our Blessed Mother and the first disciples, we take our stand with great confidence at the side of such Bishops who hand down to us today, the very same identical Faith which the Apostles received from the lips of the Eternal Messiah, Jesus Christ. And, for this reason, we have confidence in obtaining the final victory in the war at hand, just as Our Lord promised us, when He Himself said, Have no fear little flock (Luke 12:32), because your Faith has conquered the world (cf. 1 John 5:4). This war, now inside the Church Herself, however, cannot be won by our passivity. 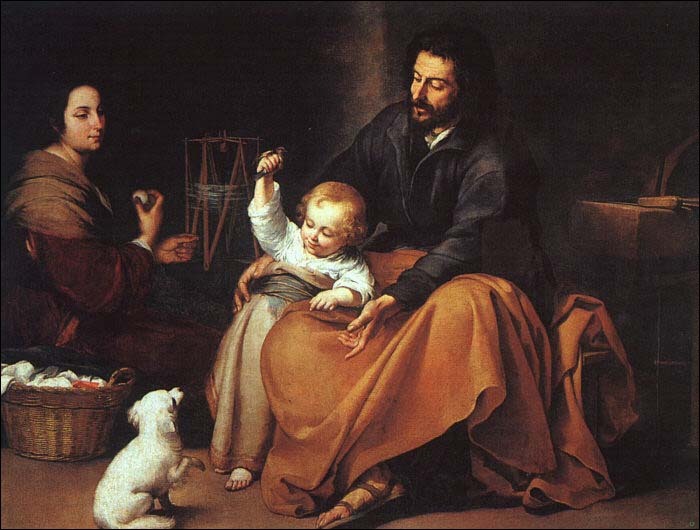 For just as the world would never had been redeemed by Christ’s supreme Sacrifice upon the Cross, if Our Blessed Mother did not consent to His Incarnation and, with St. Joseph’s assistance, nursed Him throughout His human childhood, so we today cannot be passive by-standers, but must do our very best to assist to the point of self-sacrifice, to battle the spirit of the Antichrist which has bared its head in the sight of the whole world. For this reason, and especially because there are far too many Catholics who are content to stand on the side-lines and watch the battle unfold, we must make greater sacrifices than ordinary Catholics, if we are to assist the vast numbers of hundreds of millions of fellow believers, know more clearly and be more courageous in defending the everlasting faith of the Church. We, as an association, make this commitment in our motto: In testimonium fidei aeternae Christ Domini, that is, ” In testimony to the eternal Faith of Christ the Lord “, which is the way of saying in Latin, To give testimony to the eternal Faith taught by Christ. We announce this commitment in our mission statement, which can be read on our front page in 8 languages. But we need to incarnate this commitment in good works. First of all, the work of our website, Facebook page and Twitter account by which we make ourselves known to other Catholics. Second, through the content which we will distribute through out website. We urge our members to share all our posts via Twitter and Facebook and their own personal blogs, since they are for the edification of all. By this means, Catholics everywhere will be strengthened in the Faith and have the opportunity to join with us in our holy work. We propose to undertake some significant but small contributions to the fight for the faith, by means of soliciting, funding and distributing the clear teaching of the best clergy, so that through the voices of those who remain faithful, we might receive strength of spirit from Christ Our Lord. But to do this will take funding. Our new website cost about $300 USD, our logo $50 USD. We have team of committed translators who have assisted us, either voluntarily at no cost, or for nominal fees, in the translation of our documents for our website. We hope to assist local groups video-record and transcribe and publish talks and interviews with Cardinals and Bishops. And we have currently have come to agreement with a talented and famous Catholic journalist to do these interviews. We hope in the coming months to publish videos and text documents on our website, and are planning a 7 part Series on the 7 Sacraments, in which we will publish 7 interviews with prominent members of the Sacred Hierarchy, who can greatly encourage us all in the worthy and proper appreciation and reception of these Sacraments. We hope, as an organization, to use these initial steps to grow our numbers to such an extent that we can organize and host conferences on the different continents and in different languages, as well as lobby the members of the Sacred Hierarchy, to encourage them to remain faithful to Christ. For this reason, we ask our members to consider making a contribution to our efforts via a financial donation. We have arranged with a USA non-profit, who in law is capable of assisting us,* to receive donations via Paypal (and credit-card) on-line. You can either make a single donation, or make a donation which will automatically repeat each month. Even a small donation from many members will be sufficient to begin our apostolic work, which we estimate will have a budget of $4000 USD in the next 6 months.